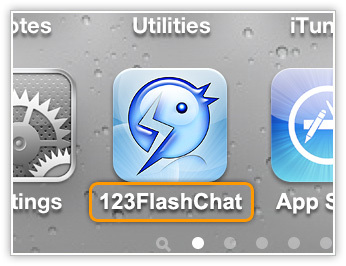 We're exciting to announce that 123FlashChat has released its mobile apps for iPhone, iPad and Android, which enables the chat users to explore thousands of chat rooms with their mobile devices. Details. And now even better, we provide customization service of the iOS/Android App, that means the chat owners may have your own mobile chat apps to promote your chat to your users! 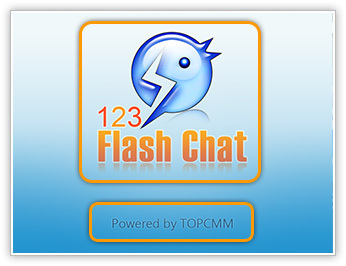 This service is only available to 123FlashChat License buyers and 123FlashChat Hosting buyers, after you've applied a chat ID for your own chat room in advance. Send us your own logo of any image type, and we will design it for you, which will be helpful to increase your brand association. A custom app name is a great hint in Apple Store/Google Play search. The logo and the powered-by information can be replaced by yourself. 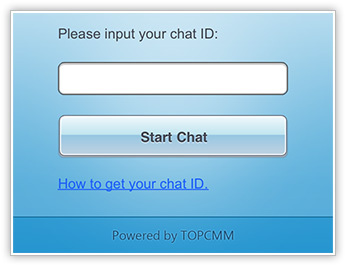 Users may enter your chat room directly without entering any chat ID. The IPA file will be available for you to submit the mobile app to Apple Store, as well as the APK file to Google Play Store. It will need your iOS/Android developer account to submit the customized apps. If you are willing to provide the account(s), we can provide submission service for you for free. But we won't carry the responsibilities if the submission failed and no refund will be guaranteed because of the failure. No adult content is allowed either in Apple Store or Google Play. Apps with the customizations listed above can get free upgrading service for half a year. And after that, each upgrade costs $200. Extra customization service will involve extra fees. You may consult our online sales rep. to negotiate a price. The About page must be kept without any change.